Often referred to as “zero clearance” fireplaces, gas fireplaces combine the desirable factors of several heating systems into one: the efficiency and availability of gas, the ease of installation and simplicity of venting units and the beauty and charm of a traditional fireplace. Designed for a new house or renovation project, these products can be fit to suit your particular home needs–set along an exterior wall and vent directly outside without a vertical chimney or place on an interior wall and vent through the roof with a close clearance pipe. 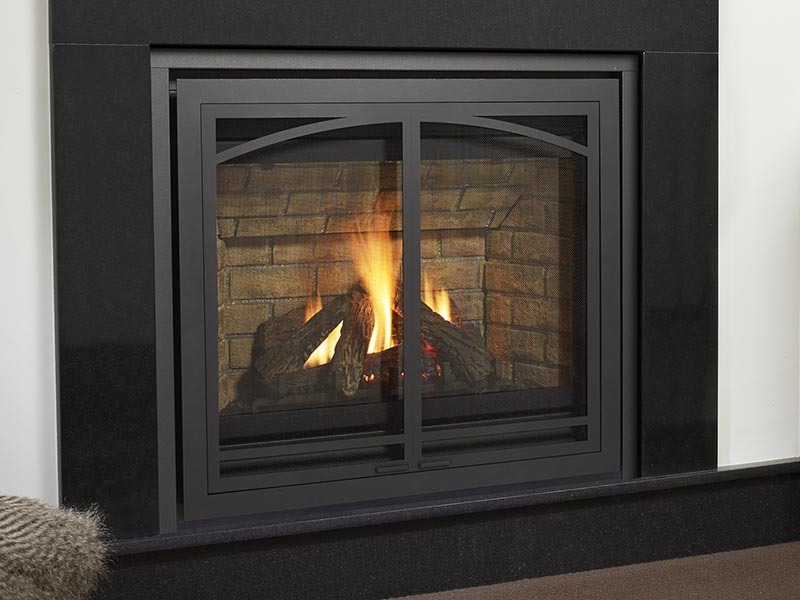 Whatever your choice, know that a gas fireplace will keep you warm, raise your home’s value and save on heating costs. Vent-free uses room air for combustion and delivers 99.9 percent of the heat directly into the room. These systems offer many more installation options considering no outdoor venting is required. Vent-free has an unmatched safety record due to clean burning technology and built in sensors that instantly disable the burner if the oxygen in the room drops to and unsafe level. With a 40,000 BTU limit, vent-free fireplaces are to be used as supplemental heating sources in conjunction with central furnaces. Direct vent utilizes two vent pipes, one to draw air in from outdoors and the other to exhaust. These are typically run through one larger co-linear duct to simplify installation. A Direct Vent system is often installed along an outside wall to simplify venting, but can also be installed elsewhere and vented through the roof. 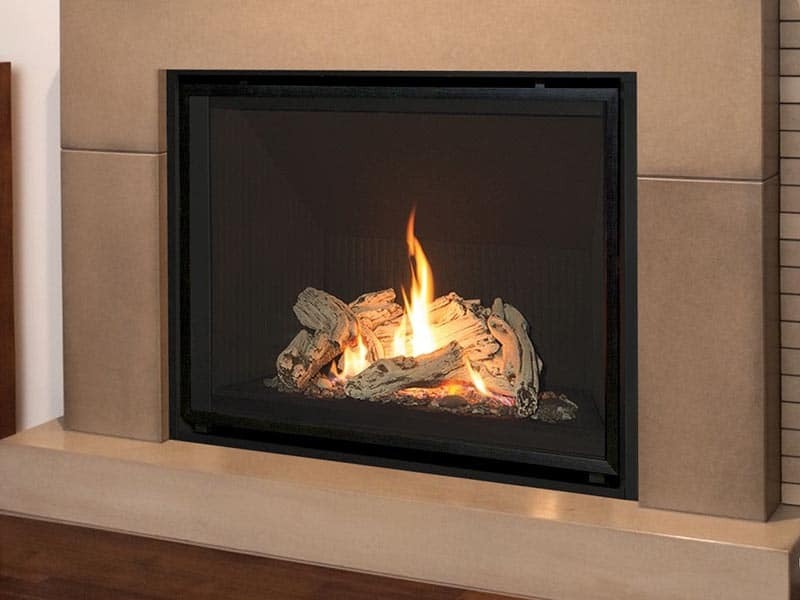 If you are looking for log sets and burners, click here.